Currently browsing articles with a topic of "bluefish". Have you been to the mouth of Eastern Bay looking for breakers lately? Find any? It will eventually get better, but so far they’ve been few and far between. If you think there are fewer breaking rockfish in the Chesapeake Bay this summer, you’re right. I believe it’s due to several factors including low salinity and less bait, but I’m afraid the primary reason is because there are fewer fish. The rockfish we normally see blitzing in the summer months are either juveniles too young to migrate up the coast, or residents that for whatever reason decide to stay in the Chesapeake year round. It’s not hard to figure out why there are so few resident fish this year. All it takes is a glance back to last February’s news reports when our Natural Resource Police pulled tons and tons of dead fish out of illegal gill nets. No one can say for sure how many illegal fish leave Maryland. 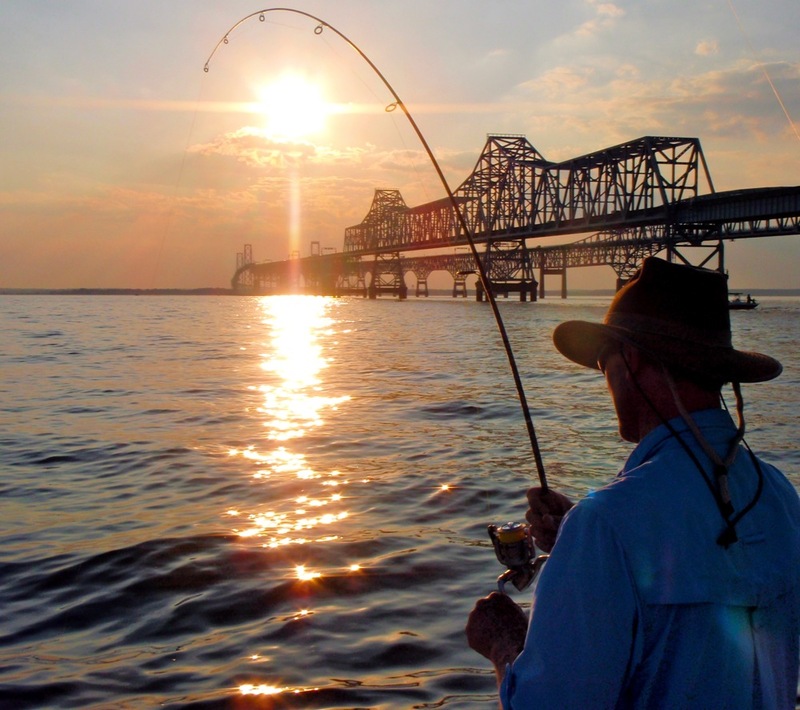 It’s very possible that over a hundred thousand pounds of resident fish are stolen every winter from the Chesapeake Bay. Is it any surprise that the fish aren’t where they’ve always been this summer? It’s extremely frustrating, but since you’re probably here for a fishing report, let’s talk about how to find the few schools of breaking fish we have left. 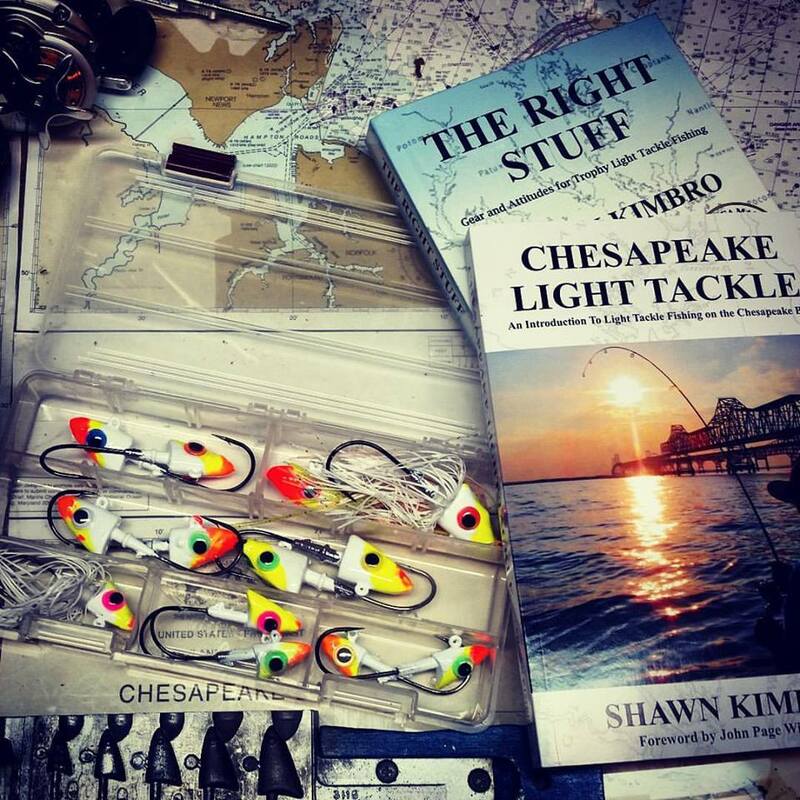 In this entry I’ll begin a series of tips for finding blitzing rockfish and bluefish in the Chesapeake. Read More! Mmm, July on Kent Island: when the water is savory and smooth and salted with all manner of boats, when tourists flock to the Eastern Shore beaches and bridge traffic backs up for miles while drivers peek over the rail for a glimpse of the sparkling spectacle that is summertime on the Chesapeake Bay. 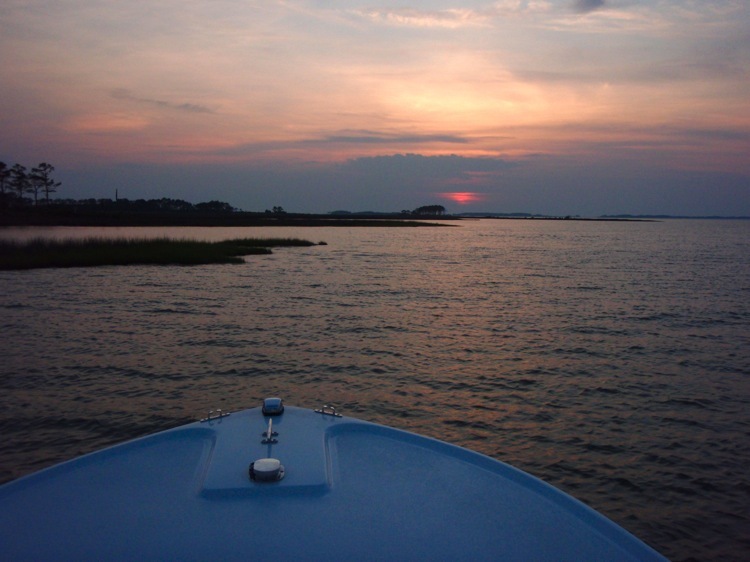 Summer can be both sweet and sour to Chesapeake fishermen. Sometimes we wonder if it’s worth trying to fish in this Hell’s Kitchen of boats, everyone jockeying for the single best position from which to make the sweetest cast. But fish we must, so we line up like line cooks to join the fray, vowing to stay even-tempered when inevitable conflicts arise and deluding ourselves that, when we get there, we’ll have that delicious “top-secret” spot all to ourselves. Mmm, mmm, summertime, sweet summertime. Read More! 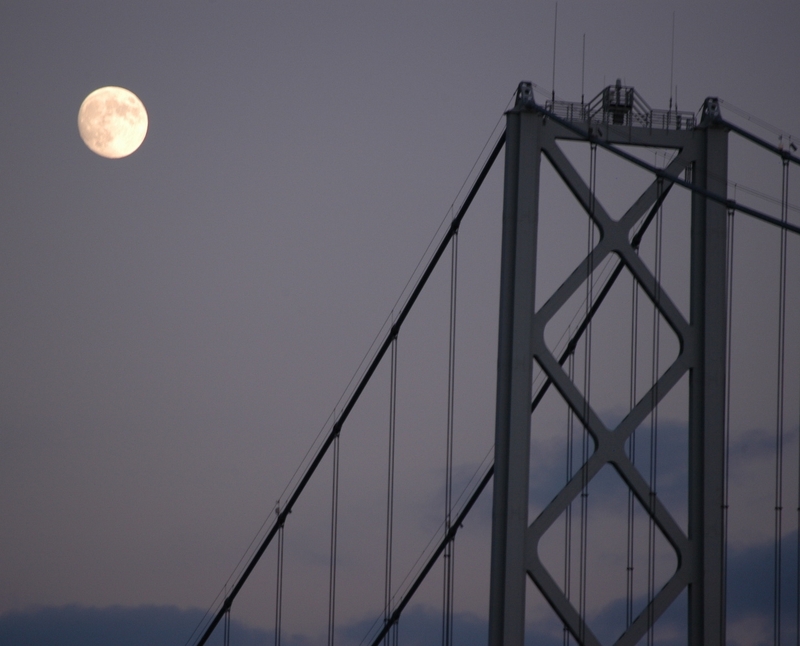 The full moon that occurs closest to the autumn equinox (the first day of Fall) is called the Harvest Moon. 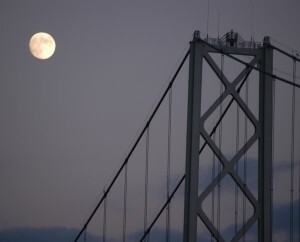 It gets the nickname because there is bright moonlight from before sunset to almost sunrise so there is plenty of nighttime light for activities such as gathering crops. 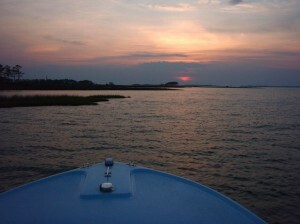 It’s also one of the best moons for fishing the Chesapeake Bay. I pay very close attention to the phases of the moon. Not only do they tell me a lot about water levels and the intensity of expected currents, they also provide information about fish behavior. Striped bass feed at night. While you aren’t likely to see younger Chesapeake stripers blitzing under the full moon, the big girls are usually on the prowl beneath bright night skies. I like to fish after dark during the spring and fall. By now you’ve likely read my recent reports about the great shallow-water action we’ve had this year. 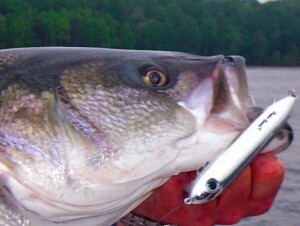 Nothing gets my blood boiling like nice fish blowing up on top-water plugs in less than a foot of water. 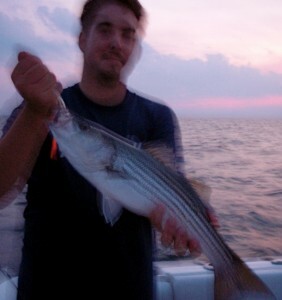 For the past month or so shallow-water stripers have been extremely active in the late afternoon hours. The shore-side feeding frenzy usually begins around 5:00 PM and builds to a crescendo before turning off just after sunset. Things pick back up just before sunrise and continue until the day gets bright. This week, thanks to the full harvest moon, all bets are off. As you can see in the video, the shallow bite is wide open though both daylight and dark. Read More! 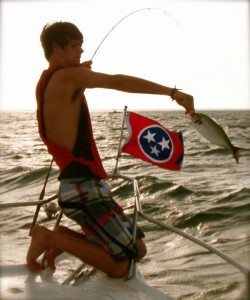 As the old saying goes, if we caught fish every time we went out, they’d call it catching instead of fishing. So, I guess my Friday evening/Saturday morning over-nighter to southern Maryland was a fishing trip, because there wasn’t a lot of catching involved. 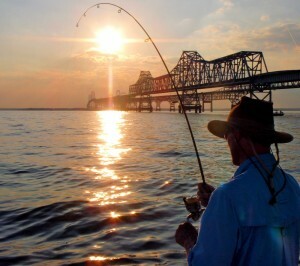 Striper fishing has been pretty good around the Bay Bridge and Poplar Island this week. We’ve been landing our share of mid-20 inch rockfish on light tackle with an occasional 30 incher mixed in, but I was hoping for more of a challenge. Friday afternoon, I launched out of Shipping Creek and pointed Thunder Road south though Poplar Narrows, past Sharp’s Island Light, around the Jame’s Island Horn and down past Hooperstown to the area just north of the Virginia Line that has been producing big red drum. It’s a 60 mile run – two hours in perfect conditions – but it took me a little longer. One reason is because I crossed the Bay for a visit with Mike at Buzz’s Marina, another reason is because I hit a pound net, but my biggest challenge was the wind. Here’s the story. Read More! The bluefish blitzkrieg in the mid & upper Bay is full force with thousands of snapper blues in the 15-20 inch class invading all the usual rockfish hotspots. Blues are among the most aggressive fish in the world. They’re known to kill other fish just for the sake of killing and they will occasionally attack humans. Pound for pound, only the piranha can match bluefish in terms of raw fury. They’re voracious predators that will even eat each other at times. To prevent cannibalism, they’re known to travel in similarly sized schools. Their aggressive behavior makes them great fun to catch and their oily meat can be delicious. When blues are actively feeding they’ll eagerly hit almost any lure. They especially like lures with a lot of flash. In 1993 a woman who was swimming at a New Jersey Beach had both her ears bitten off when a bluefish attacked her silver ear rings. Once hooked, they’re known for strong runs and acrobatic leaps that can make landing them on light tackle very Read More! Tonight’s fishing partners were Rich and James. Rich and I have fished together frequently, and this is my third time on the water with James. We launched into Eastern Bay at the Shipping Creek ramp and ran out toward the main Bay. It took a little more looking around than it did Tuesday evening, but we eventually found fish in 33 feet. We noticed a few bluefish on the surface here and there. The sonar told a completely different story though, with fish stacked up top to bottom. When I’m lucky enough to find breakers over deep water, I always reach for the bottom with my jig, even though it’s relatively easy to catch fish at lesser depths. Bigger fish run deep beneath the breakers preferring to pick up the scraps left over by the more energetic younger fish. Read More!